A poster advertising an exhibition of the photographic series of Reg Garner, a Sanford resident. The event was held on August 23, 2006. 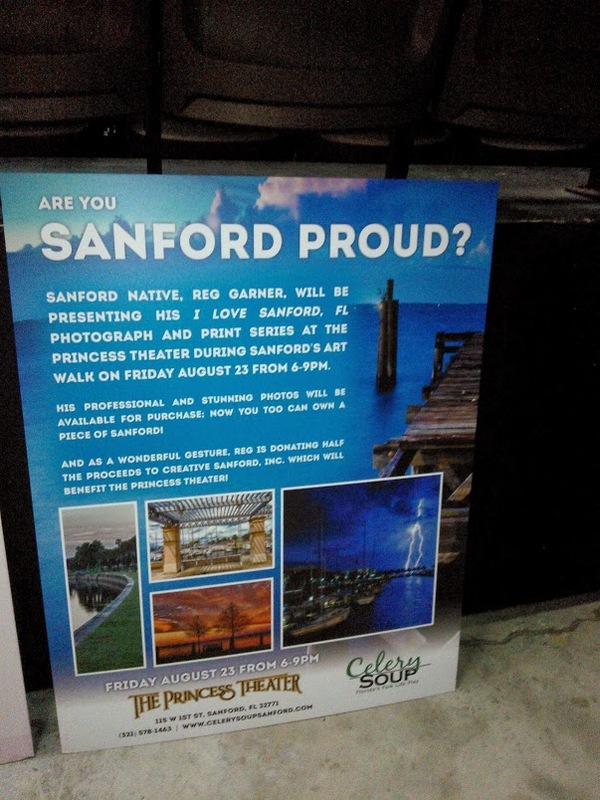 While not a Creative Sanford, Inc. event, this poster illustrates the co-op arrangement at the Princess Theater, located at 115 West First Street in Sanford, Florida. Creative Sanford, Inc. is the lease holder, but co-ops the space with other groups to share the costs involved in leasing the theater space. The Princess Theater was first opened in 1915 as a live theater and film theater until the mid-1960s, when it was converted into an automobile parts dealership for over 20 years. The theater was revitalized by Creative Sanford. Celery Soup: Florida's Folk Life Play Collection, Sanford Collection, Seminole County Collection, RICHES of Central Florida. Reisz, Autumn. 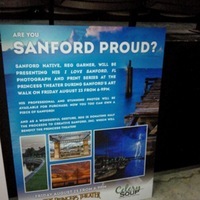 “Are You Sanford Proud?.” RICHES of Central Florida accessed April 22, 2019, https://richesmi.cah.ucf.edu/omeka/items/show/3050.